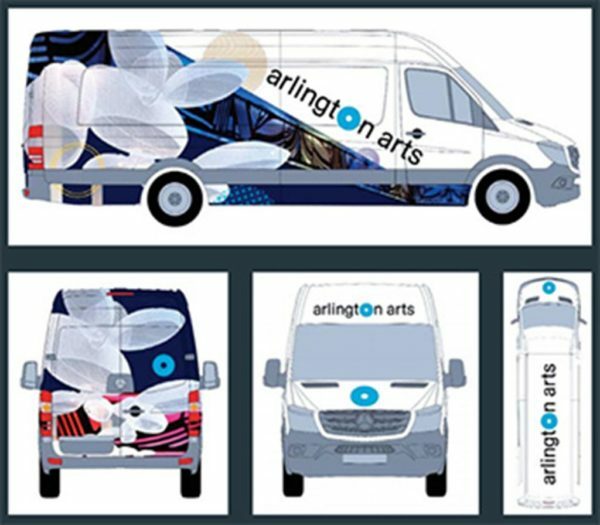 Arlington County has received a $25,000 federal grant to fund programming for its Art Truck. The National Endowment for the Arts awarded the grant, which will be matched by $25,000 in county money for a total of $50,000 in funding, in June. The Arlington County Board voted unanimously Saturday (December 16) to receive the grant. The grant will help with expenses, commission original artwork and hire artists for programming. The Art Truck is part of approximately 1,000 projects to receive federal money. The County Board approved purchasing the mobile arts and performance venue last year to partially fill the void left by the closure of the Artisphere in Rosslyn. It travels to locations like farmers markets, neighborhood events, public libraries and after-school events, with its projects ranging from pop-up galleries to performances. The total $50,000 funding help pay for artists’ fees, transportation and hotels ($26,130); vehicle costs ($8,455); technology needs ($4,027); printing, art and office supplies ($5,638); and marketing and advertising materials ($5,750).